T-shirt printing: How are T-shirts printed? Check out how your t-shirts are printed! 1. 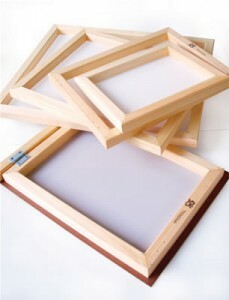 Your design submitted will be converted into a negative transparency which will then be placed on our silkscreen frame. 2. 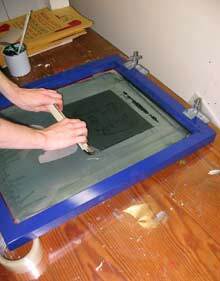 A layer of photosensitive emulsion will be applied on the silkscreen frame. 3. 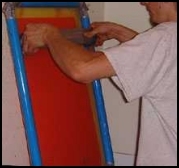 The silkscreen frame will be exposed to light, where the desired printed areas on the screen will be dissolved. 4. Next, water is sprayed onto the silkscreen to wash off the excess emulsion left. 5. 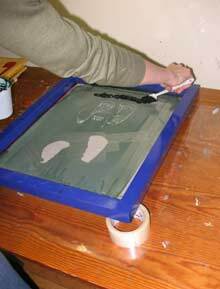 The silkscreen frame is placed over a t-shirt. 7. Then, the ink is swiped throughout the screen by a squeegee (a smooth rubber tool) on the t-shirt. 8. 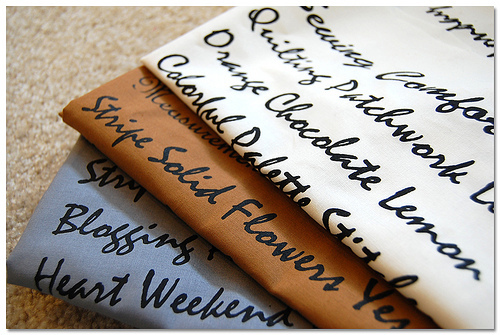 The printed t-shirt is left to dry and heat-pressed on so that the ink is embedded into the t-shirt. 9. TADA! Your t-shirt is now ready to be packed and be delivered to your doorstep! Silkscreen printing is no easy feat! It takes time and effort to master the skills of silkscreen printing. But fret not, our professional printers at Ministry of Print are highly skilled and experienced in their forte. At Ministry of Print, we provide the best T-shirts in the shortest amount of time available. So choose us as your number oneT-shirt printer today!